According to RACER, embattled former American Le Mans Series champion Scott Tucker has settled a case against his payday lending companies by the Federal Trade Commission for a record $21 million. The FTC calls it the largest recovery they've ever done in a payday lending case. It's a lot of money, but Tucker could potentially face more problems when the FBI ends up charging him with racketeering, as has been reported. 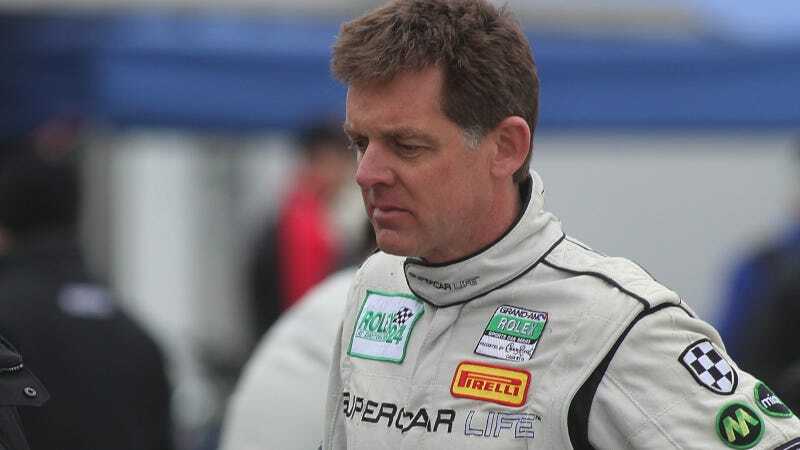 Scott Tucker owns Level 5 Motorsports, however, it is his payday lending businesses that keep landing him in hot water. Tucker is affiliated with AMG Services, Inc., and MNE Services, Inc. These online payday lending companies are technically based on Native American reservations, granting them sovereign immunity from federal law. However, this is a landmark case for the FTC, as it is the first time they've successfully gone after a company based on Native American land. The FTC also charged the defendants with violating the Truth in Lending Act (TILA) by failing to accurately disclose the annual percentage rate and other loan terms and making preauthorized debits from consumers' bank accounts a condition of the loans, in violation of the Electronic Funds Transfer Act (EFTA). MNE Services lent to consumers under the trade names Ameriloan, United Cash Loans, US Fast Cash, Advantage Cash Services, and Star Cash Processing. AMG serviced the loans. In May 2014, a U.S. district court judge held that the defendants' loan documents were deceptive and violated TILA, as the FTC had charged in its complaint. The original FTC charge from 2012 questioned the funding of Level 5 Motorsports. While Scott maintains that he is not the owner of either payday lending entity, but rather, only an employee of those companies, Level 5 received $40 million in funds collected from consumers that was marked as "sponsorship" of the company. Level 5 Motorsports was a highly successful shop, campaigning winning entries in everything from Ferrari Challenge to the American Le Mans Series. They were known for hiring outstanding driver and technical talent as well as buying top-notch equipment for the team. However, their last major race entry was the 2014 Rolex 24 at Daytona. That was a year ago, and they took the GT Daytona class win in a Ferrari 458. Most recently, many of their cars and haulers went up for sale right around the same time that a possible federal racketeering indictment was coming to light. Did A Possible Federal Indictment Make This Race Team Sell Its Cars? A U.S. District Court ruled that Tucker's companies violated the Truth In Lending Act in May 2014. With that ruling came the finding that tribal-based lending companies were, in fact, under the jurisdiction of the FTC. Scott and his brother Blaine Tucker were originally co-defendants in the first FTC case, as they were both involved in their online payday lending services. Sadly, Blaine Tucker took his own life in March 2014. Additional FTC cases are still open against both Scott and his brother's estate. As for the FTC case that was just settled, Scott Tucker got off easy. (Far too easy, if you ask anyone who borrowed from an AMG or NME lending service.) While $21 million is a record recovery on behalf of the Federal Trade Commission, the lending services must waive another $285 million in charges that were assessed to borrowers by agreeing to this settlement. That's a ton of bogus charges. AMG Services, Inc., and NME Services, Inc., aren't out of trouble yet. It looks like Level 5 Motorsports will be sitting out for quite a while.